I like homeschooling because I don't have to wake up early. We make our own schedule. It's fun! We play games. We go for long walks. We hang out with our friends. Reading what I want when I want in my comfy robe! I can get more understanding because I can just ask, and she won't have to worry about other kids except my sister. It's fun to travel on a school day! When we travel on the weekdays, my mom doesn't have to call the school. We just go! I get to learn things that I didn't get to learn at school like math. My kindergarten teacher didn't let us do much math on our own. That is one thing I didn't like about that year of public school. We take advantage of the tennis courts in our complex during the day. 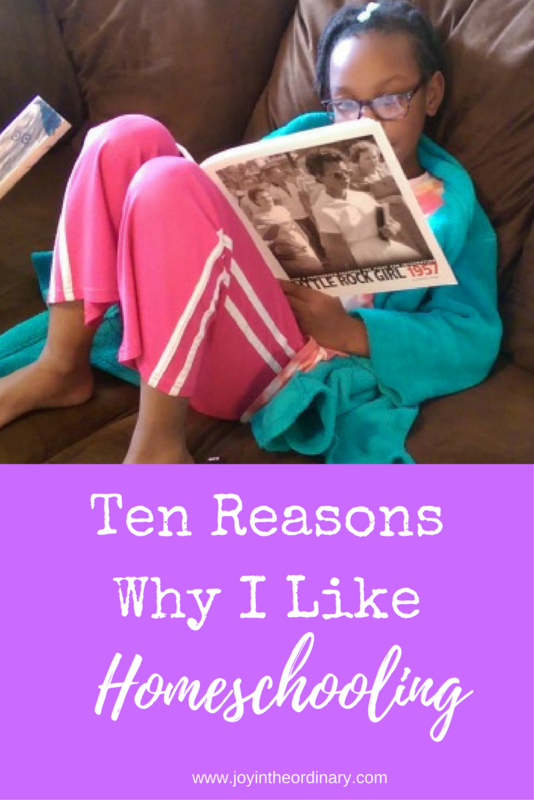 What do your kiddo's like about homeschooling? Share in the comments.